I was in search for a lightweight, no fuss, simple design pack and then I stumbled upon the Medusa. I discovered it offers this and then some more..
I’ve been using my Medusa 32L pack for close to a year now, it’s seen rain, hail, snow, and surprisingly more, even a bit of sunshine. In general I use this pack for overnight stops on the hills and as a daypack for winter. The 32L volume is enough to fit my Force Ten Helium 100 tent, sleeping bag, roll mat, warm layers and some food amongst other things. I like my kit no fuss and I have a pet hate for countless straps swinging away on your rucksack when walking, so this simple design really stood out for me. I’m not a complete lightweight nut, but I don’t feel the need for every luxury, so if you carry everything and the kitchen sink, go for a bigger size. As far as weight goes the Medusa is pretty darn light. Weighing it at 940g on the HikersBlog scales, this rucksack is the lightest for its volume in our collection. As light as it may be the pack is comfy when worn and provides a sufficient level of padding even when full of gear. It features a padded back system that comes pre-moulded to shape to your back, which cuts down on weight due to no adjustments for length. The top pocket of the rucksack is different from others in the way that the zip does not face the back of your head, but rather the opposite way around. 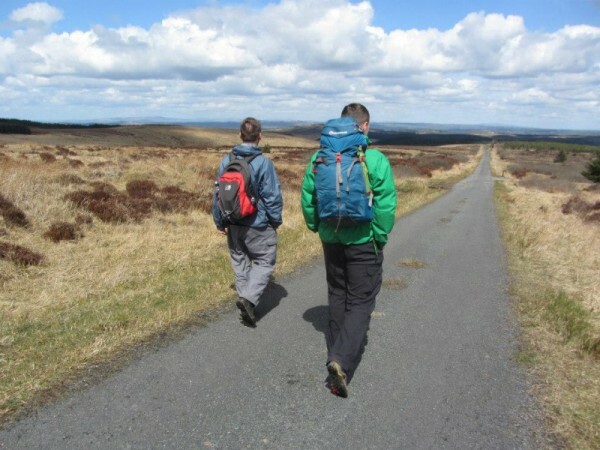 This enables your walking/hiking/climbing partner to be able to reach in and get your stuff for you with greater ease than if it was facing the original way around. I’ve wore the Medusa on a trek covering over 30 miles in a day. Still love it! The rucksack is made up of one main compartment, one top compartment and two side stretch pockets with one small section in the right side hipbelt. The main compartment is good for your tent, sleeping bag, stove etc while the top compartment is handy for hats, snacks and map and compass. The two elastic side pockets will take a few chocolate bars and water bottle when the pack is full but my 1L Nalgene struggles to fit, and does so only just. The main compartment closes by a clever ring pull like mechanism. To tighten, you pull tight one end, and to loosen you grab the fixed end and the ring pull and pull apart. This makes it easier to open and close the bag when wearing thick gloves. I think this is a great system and works perfectly, bar the odd time when the loop would fall out of place within the ring pull and you have to either leave the main compartment loose under the lid or fix it by taking your gloves off. The Medusa is made from RAPTOR TL fabric with reinforced RAPTOR UTL on its base, what that means I don’t exactly know, but I can tell you it is very durable and tough wearing, as even after nearly a year of use my rucksack looks new. The hipbelts have one small pocket on the right and a attachment point for carabeaners on the left. This means the Medusa can be used for carting around climbing gear. 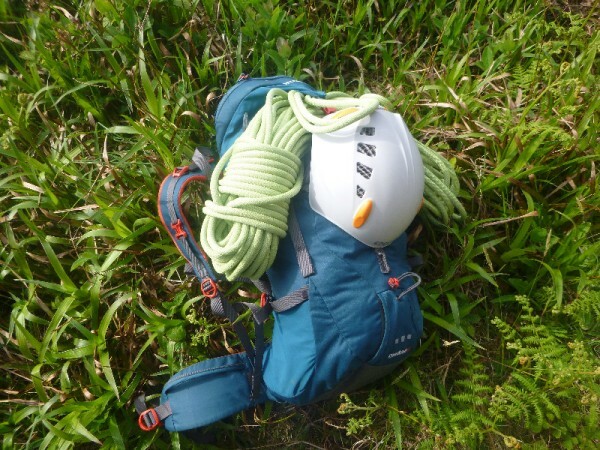 Although I’ve only used this pack twice for climbing specifically, I think it works well. The top lid is very adjustable and can eat up a rope with ease, while the hipbelt is useful for hanging your nuts or hexes from. So the pack is lightweight, tough wearing, comfortable and looks pretty stylish too, is there anything that is a negative point? 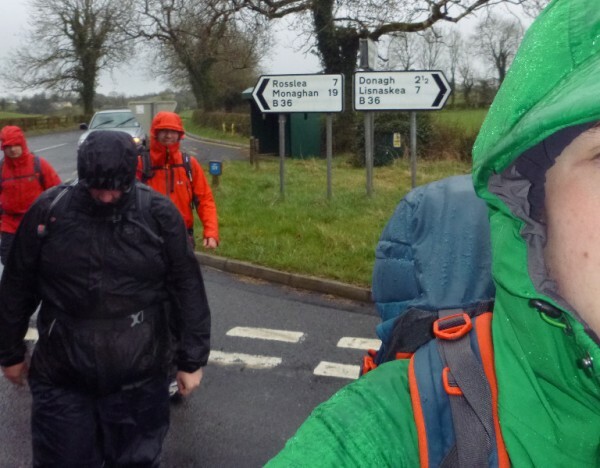 The rucksack doesn’t come with a rain cover and in heavy downpours the inside may get a bit wet, so as long as your happy carrying the raincover in the top pocket or giving it a coating of waterproof spray this wont phase you. You may also find that when you pack your bag it may resembles a snake that has swallowed a rubiks cube, corners and edges may stick out making the pack look untidy, but in fairness it is a very little annoyance. Another minor annoyance is that when the pack isn’t filled completely and used when only half full, it can lack shape and structure, which is again only a small annoyance. Overall I’m very pleased with my rucksack and find that it fulfills the needs I have 75% of the time for overnight trips and lightweight trekking. For the RRP of £80 you get a pack that can be used for day trips or quick overnighters and to carry around climbing gear. 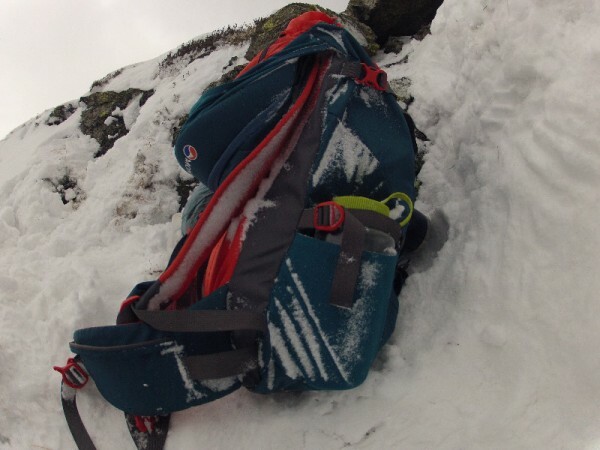 I’m hoping to test it in winter conditions in the future to make use of the ice axe carry capability of the bag, so time will tell how it copes in the snow and ice, I have a feeling it will do just fine. If I was in the same situation would I buy one again? Quite simply, yes. I’ve experienced some hip blisters from the hipbelts of the pack caused by rubbing. This was during a warm day when wearing the pack (fully loaded) with only a polyester t-shirt on. The rubbing could possibly be down to the rough material of the t-shirt in combination with my protruding hip bones. It may not have happened if it weren’t for my protruding hips, but is worth mentioning. 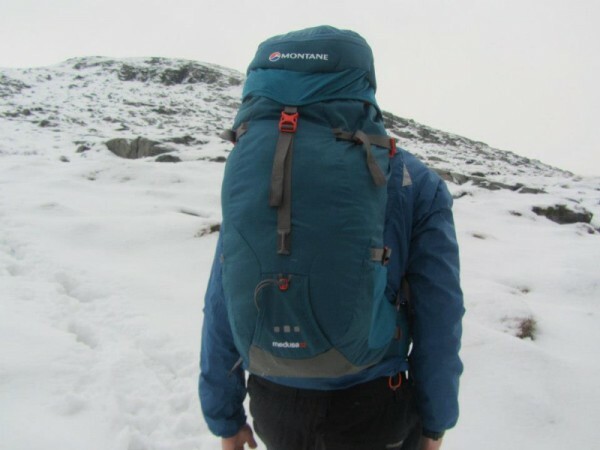 I'd like to buy a Montane Medusa, but from my experience of fellwalking in The Lakes and Pennines, you need a rainhood that fits snugly, is studded, velcroed and has a drawstring (otherwise it will blow off)). Is there a hood available? RJM. Hello, apologies for the delay in responding to you. The Montane Medusa has no raincover sadly, I believe this is down to the weight saving ethos of the rucksack. That doesn't mean that you couldn't modify your own onto it - there is a piece of fabric at the bottom that could be used to stitch a studded raincover attachment to. Even with a drysack inside, a sodden rucksack is heavy and a hazard. Cameras and GPS's in the side pockets are at risk of damage. You're spot on, sodden rucksacks aren't fun at all. My approach was always to keep my camera in my coat pocket - more waterproof and easier to access if you see a great photo.